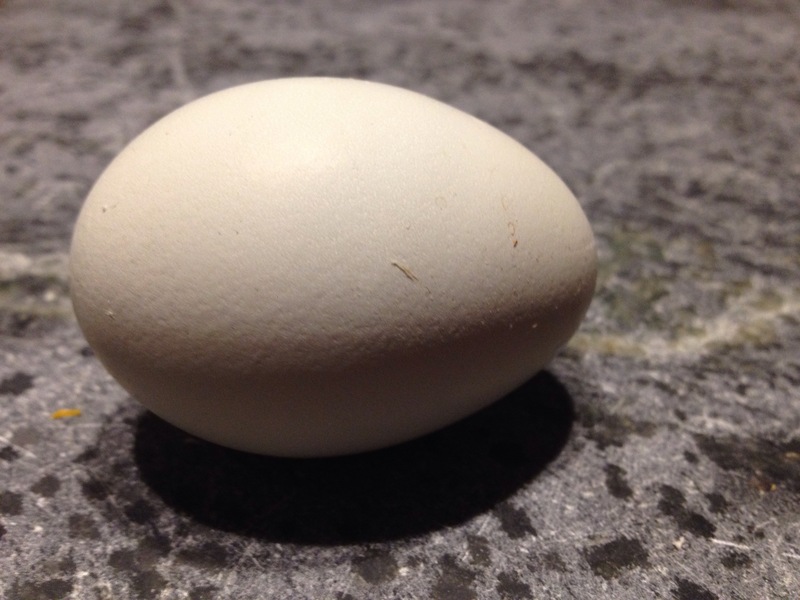 Gigi (our olive egger) broke through the winter weather and delivered her first egg since last fall. After checking records, I saw she returned to laying exactly one week earlier than last year. Our Marans Loretta still refuses to lay. She stopped during the summer once her missing feathers began to grow back in. (Another chicken pulled out most of her belly and bottom feathers.) she has never been that great of a layer, so I’m not optimistic about her laying eggs again. My egg drought shouldn’t last long. In less than four weeks I will pick up two more chicks. By my calculations, I should be up to my ears in eggs by mid summer!